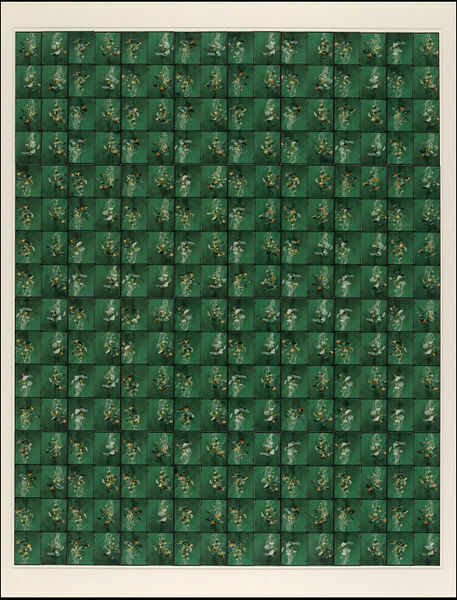 This collage is made up of uncut strips of photo-booth photographs of nasturtiums from the photographer’s garden. 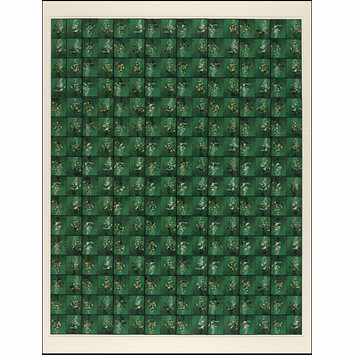 The strips were assembled to form a single art work, showing the subtle variations of the flowers over time. The choice of subject was inspired by a photograph of nasturtiums by the French photographer Eugène Atget (1857–1927) and the oil painting Nasturtiums (1880) by Henri Fantin-Latour (1836–1904), which is in the V&A collection (Museum no. S.EX.24-1884). The uniqueness of the collage is in stark contrast to the mass-production technology used to create it. 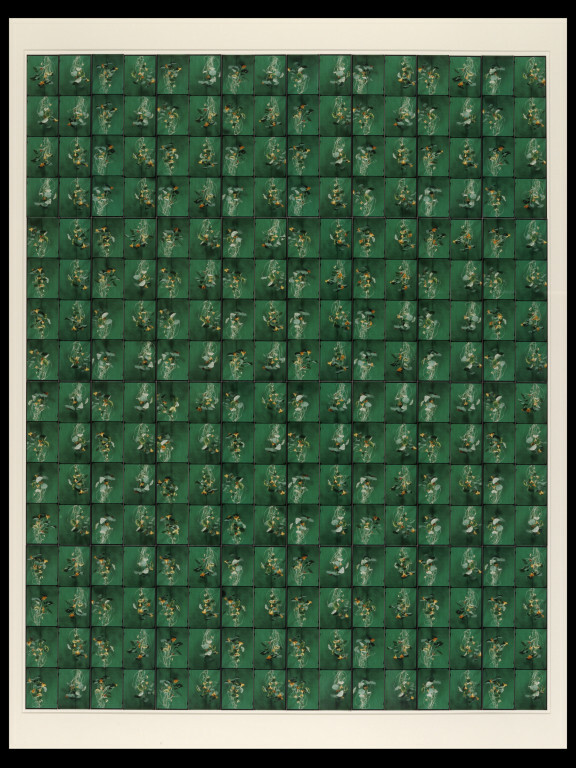 Strips of uncut photobooth photographs mounted onto museum board with pva, depicting Nasturtiums grown in photographer's garden. Gallery 100: A History of Photography: Series and Sequences, 6 February 2015 – 1 November 2015.